Beautiful open plan home built for the sun. Step out from the big ranch sliders to enjoy the inlet views, outdoor dining and spa on the expansive deck. Gardens and lawn with plenty of room for any kids to run around . 5 kayaks incl 1 double and 1 dinghy to launch from front of garden, head up the inlet to see the historic stone store and sample the delicious food or drink at the Pear Tree, or head down the inlet with the 2 fishing rods supplied to fish some great local spots. Approx 10 minute drive to Wharau beach, a gorgeous hidden gem. 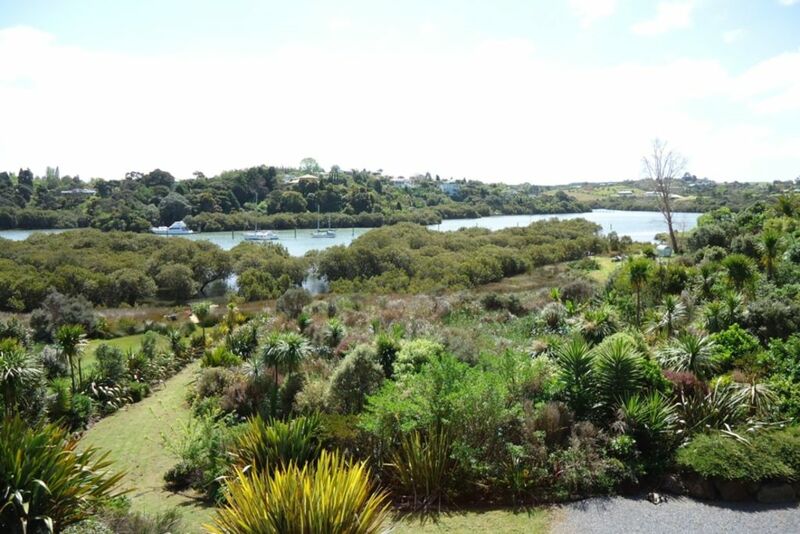 3 minutes drive to town where you can enjoy superb local cafes and shops, or launch your boat just 10 minutes away at landing road boat ramp. Please supervise young children in front garden due to close proximity to water. Up to 2 additional guests allowed at $20.00 per person per night. Ample Boat parking, and Internal Access Garage for 1 car. Waterfront property, with direct access to inlet. Plenty of parking front and Rear of house. Internal Garage for 1 car. Please make use of any pantry items. Please replace if emptied. Thank you - we had a great time staying at your place. Really enjoyed the location, close to lots of activities but also a relaxing place to chill out. We'll hopefully be back for another holiday! Thanks Darryl, we're glad you enjoyed your stay. It'd be a pleasure to have you stay again.